A 47-year-old agency with a heritage in agribusiness and manufacturing might not suggest a penchant for innovation, but G&S has been successfully debunking perceptions — both for its clients and for itself — for several years now under the leadership of CEO Luke Lambert. Today, G&S is a highly-focused B2B agency that combines impressive thought leadership with the kind of creative flair that reflects its risk-taking, entrepreneurial culture. Growth of 13% to $27m in 2017 suggests that the firm is firing on all cylinders, best demonstrated by an eye-catching string of campaigns. For Syngenta, the firm devised a TV-centered campaign to celebrate women in agriculture by aligning the company with the FarmHer movement, helping to increase non-customer affinity and click-throughs. For Coronal Energy, there was a powerful effort to integrate communications strategy with the solar developer’s value chain. And, for Sodexo, the firm developed an integrated effort that showcased sustainability within the company’s food supply chain. Work like that reflects an offering that involves serious creative and strategic capabilities, for a client base that includes numerous major brands in the agribusiness and technology sectors. There has been consistent investment in data and analytics along with a credible commitment to diversity and inclusiveness in the agency’s culture across its New York, Chicago and Raleigh offices. Throughout its 56-year history, Fahlgren Mortine has aimed to continually reinvent itself as a means of keeping pace with and serving clients as they undergo changes of their own. The result: Fahlgren Mortine is very much a hybrid business, rather than a firm focused on a single discipline. As such, the Columbus, Ohio-based agency believes it can offer clients the authenticity of PR coupled the creativity of an ad agency and accountability of a digital shop. 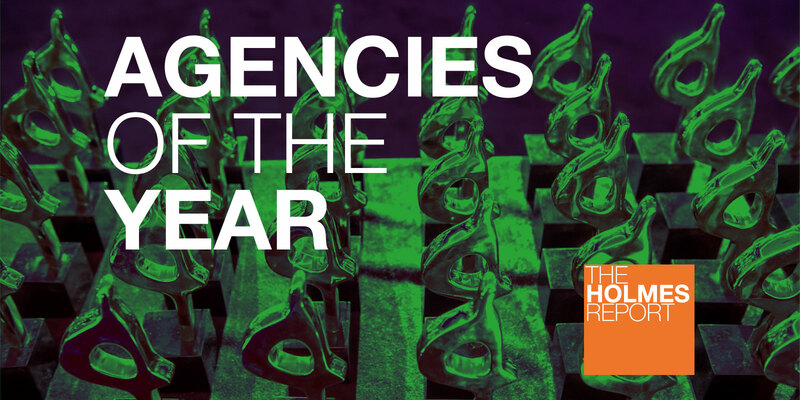 The year was punctuated by the agency’s advanced digital work, particularly from its tourism and economic development practice. The agency debuted its first virtual reality product in support of TravelNevada and unveiled a new digital experience for the John Glenn International Airport. Also for TravelNevada, the firm created the cowboy song Don’t Fence Me In, in a bid to appeal to millennials’ propensity for storytelling and adventure, generating considerable gains in consumer reach, engagement and goal conversation. When the warehouse automation company Swisslog tapped Fahlgren Mortine to help drive brand awareness, the agency developed a content marketing program that educated the industry on change through blog posts, case studies, white papers, marketing automation, trade show and media relations. Results included 146 inbound leads, a 154% increase in gated content downloads and a 62% increase in site traffic from 2016. With that, Fahlgren Mortine in 2017 grew 10% into a $27m firm, fueled by its particular strengths serving clients in the tourism, economic development and B2B sectors (the revenue figure includes the company’s wholly owned subsidiary, Turner). In February 2018, the firm was acquired by Eastport Holdings in a deal that aimed to drive the agency’s further growth. Group Gordon has a reputation as one of the industry’s good guys, both in terms of the clients it represents—a roster of philanthropies, foundations and socially responsible businesses—and in terms of its own employee culture, which has earned it a spot on our Best Boutique Agencies to Work For list in each of the past three years. As a result, it perhaps does not get enough credit for its work, which has helped it to grow by better than 40% over the past three years and build a client roster that includes a number of larger brands in traditional areas of expertise like professional services, but also in some new sectors. So new corporate clients such as Columbia Children’s Health, real estate firm Denham Wolf, fast-casual restaurant chain CAVA, and Bridges Fund, a fund manager specializing in impact investing, have joined the likes of consulting firm Willis Towers Watson, law firm Schulte Roth & Zabel, investment solutions firm AssetMark, ShakeShack, and Gust, a platform that connects entrepreneurs with VCs and angel investors. In the non-profit sector, meanwhile, Cardozo Law (the law school of Yeshiva University), the American Heart Association, Public Health Solutions, and the International Association for the Study of Lung Cancer, join Habitat for Humanity, the NoVo Foundation, and others. The rare national mid-size independent with global capabilities, Prosek Partners is driven by the entrepreneurial nature on which was founded. And consistent year-on-year growth reached a watershed of sorts in 2017, when Prosek expanded by an eye-catching 32% to $42m. Offering the global reach that comes with a London office and international network, Prosek has among clients some of the financial and professional services industries’ most notable names — companies like Bloomberg, Goldman Sachs Asset Management, Prudential and Bridgewater. Over the last 12 months the list grew with the addition of new clients including UBS Wealth Management, Citi Consumer Credit, Varde Investments, Capital Dynamics, Southeastern Asset Management, Aviva Investors, Personal Capital and Nuveen Investments. Prosek currently advises more than $10 trillion in client assets, and has grown its creative services, editorial and digital teams to meet the demands of doing so. The company’s expansion in 2017 was centered around bolstering its capabilities to better serve clients managing a range of challenges, from regulatory to reputational. Staffing grew with the addition of a digital strategy head, who helps integrate digital, social media and analytics into their overall communications plan. That resulted in the year’s hallmark campaigns, including a quick turnaround effort for online banking company, Ally, promoting Online Bank Day. The initiative, which included drones flying around a mall delivering cellphone chargers, delivered news stories, earned media and 4.5k Twitter followers. Not only is Saxum the biggest PR firm in Oklahoma, where Renzi Stone launched it in 2003, but local media have also hailed it as the best PR firm in the state, as well one of Oklahoma’s top places to work. And as one of the most diverse and versatile integrated marketing firms in the region, it's no surprise that Saxum's influence is felt well beyond its home region. Harnessing a mix of hometown strengths, and talent from around the country, Saxum has boosted its capabilities across its creative, advertising and digital divisions. In 2017, Saxum attracting new high-profile clients including the Walton Family Foundation and Oklahoma Lottery, which now are part of a client roster that includes Anheuser-Busch, 7-Eleven and GE Oil & Gas. All of which are served by Saxum's three key practice areas — B2B and B&C, energy and goods & issues.